In order to stay on top of the pile, we will donate to Listen any unclaimed items over our February break. After the break, any item in the “Not Found Yet…” will be labeled with the date it appears in our collection. We will then keep the item for one month and donate it to Listen after the 30 day stay in our collection. 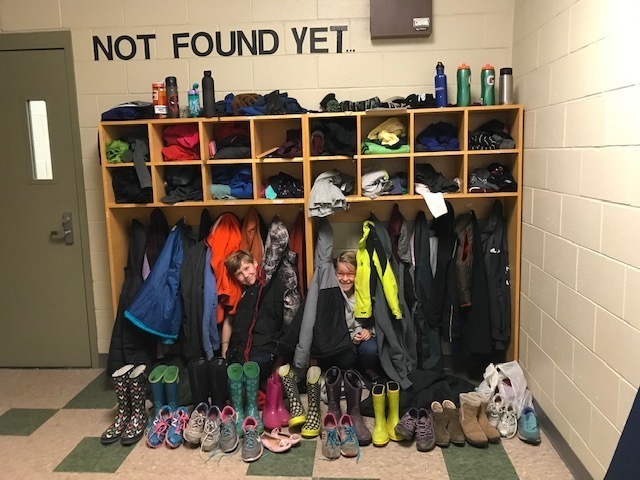 Please stop by soon when you are at school and check out the “Not Found Yet…” or remind your child to look for that lost jacket, mitten, shoes, or water bottle. Labeling your child’s belongings with first and last name can also help them find their owners!